Use FishBizPlan to write your own commercial fishing business plan, for free! FishBizPlan helps you better understand your fishing business. FishBizPlan is business planning tool designed just for fishermen! FishBizPlan was developed by a team of fishing industry and business management experts from across the United States. 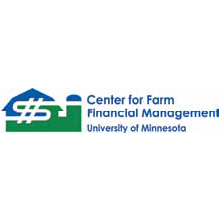 FishBizPlan was made possible by funding from the National Oceanic and Atmospheric Administration (NOAA) and from technical help from the Center for Farm Financial Management at the University of Minnesota.